The marble, through its particular way of being, appeals to unusual combinations. Our mosaic product is based precisely on this extraordinary quality. The Emperador Light Beige natural stone emphasizes the beige pieces of marble from the Burdur segments, together creating a unique and attractive combination of colors, from the traditional intersection with minimalism. 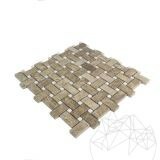 Suitable for both types of spaces (private or public) this mosaic is a perfect fit for kitchens, living rooms, claddings in fireplaces, bathrooms, hallways, etc. Through its texture and color, is even better seen as part of a mosaic. When the mosaic is made of two types of marble, the effect is double. 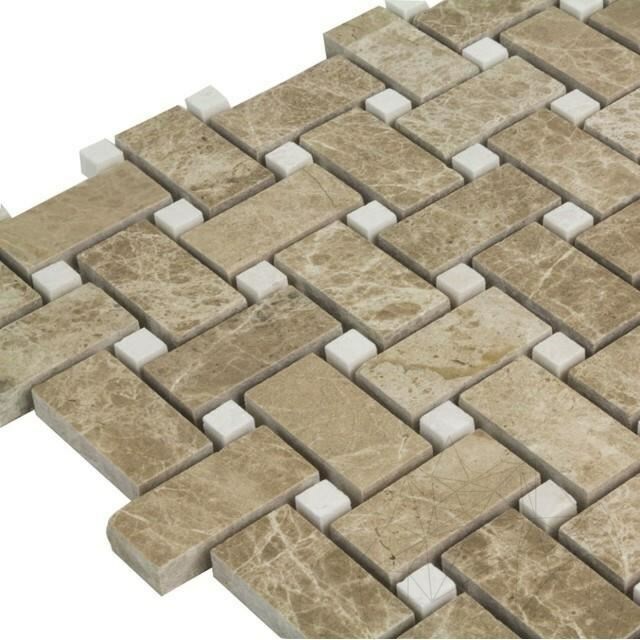 This is also the case with the combination of polished Light Emperador and Burdur Beige marbles. The manner the two stones are joined recommends the use of this mosaic in both traditional and modern designs, but also in contemporary, modern ones. It can be used both in public and private spaces. Kitchens, baths, wine cellars are the main rooms this product can be used in. At the same time, it is also suitable for living rooms, offices or cafes etc. Even more, this mosaic made of polished Light Emperador and Burdur Beige marbles can be used for cladding fireplaces or furniture items. With or without joints, the product denotes elegance and imagination in any type of space. I want to know if this mosaic is suited for the kitchen. Yes, it can be installed in the kitchen because aftercare is simple.